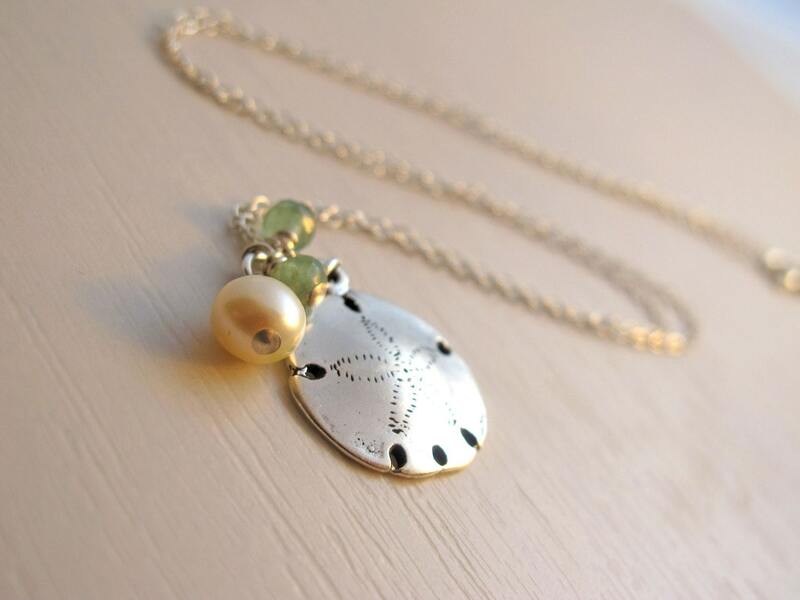 A finely etched silver sand dollar is paired with a sparkling duo of green adventurine gemstones and a glowing cultured champagne pearl. Goth It Up! Purple Skull Necklace. Folksy :: Buy "Pretty Agate Large Pendant on a Claret Silk Cord 925 Silver"
Folksy :: Buy "Secret Silver Oyster Shell and Pearl Pendant"